I’m productively procrastinating on a post about Ôoku, so in the meantime, you get more photos! My partner and I went to Oregon last week and while we were there we visited the Portland Japanese Garden, which just reopened to the public on March 1, 2016. We may have missed the cherry blossoms and came too early for roses in the Portland Rose Garden, but it was a lovely spring day and there were plenty of azaleas blooming. 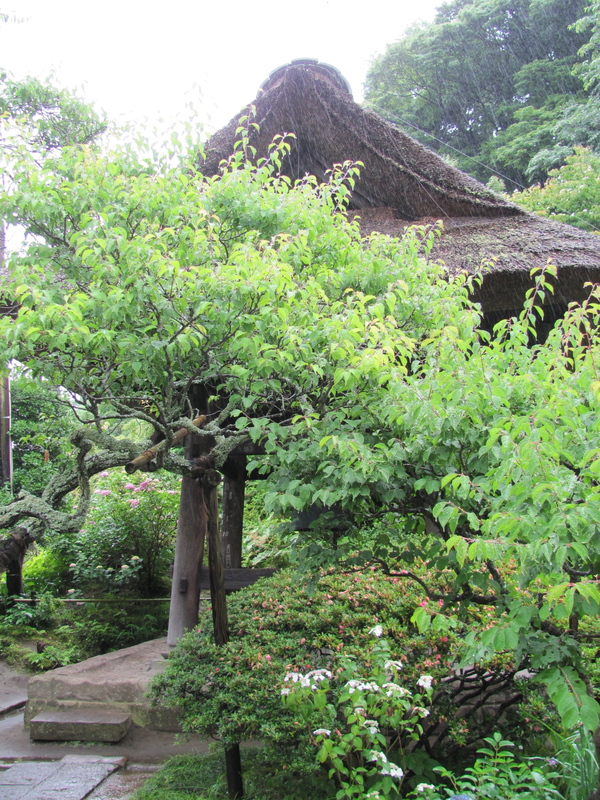 In October, I had a chance to return to Japan, and I visited Kagoshima City in Kagoshima prefecture in Kyushu. 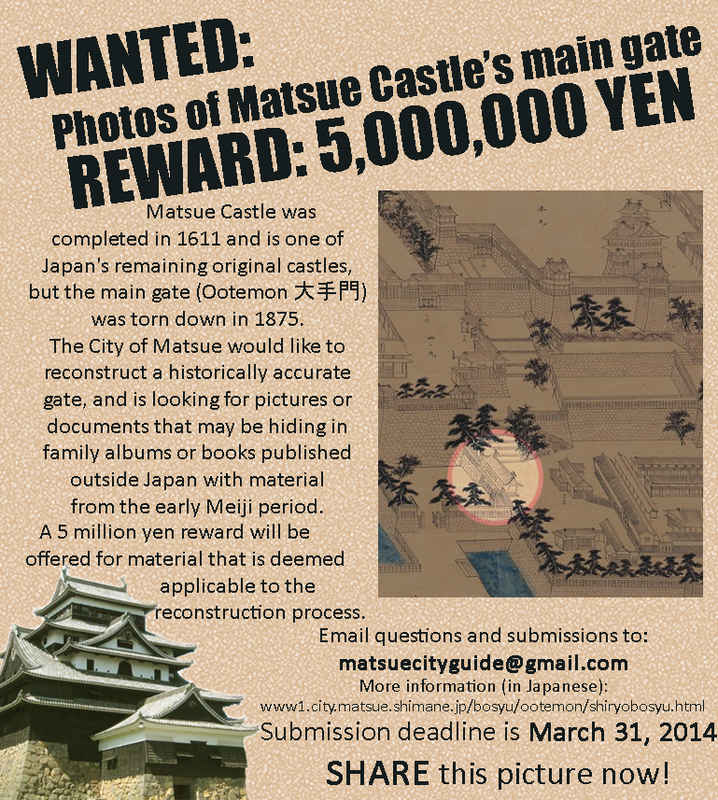 For my history-buff readers: the city of Matsue is looking for photographs of and documents about Matsue Castle’s main gate, torn down in 1875, to help reconstruct a historically accurate version of it. This is a great project, and best of luck to them. Hello, Followers and Visitors! I’d like to ask for your help in sharing this image/request. The City of Matsue is on the hunt for early Meiji era material that will be helpful in reconstructing a historically accurate main gate (Ootemon) at Matsue Castle, and is offering a short-term financial reward. Please dust off your history books and see if you have something hiding in there, or send it to your academic communities to get some students on a hunt through the university collections to see what they can uncover. We appreciate it! Please help us share it around Facebook (especially)! Seattle is home to all sorts of interesting “niche” museums, and while I haven’t had a chance to see them all yet, I wanted to share with you my photos of the permanent exhibitions of the The Wing Luke Museum of the Asian Pacific American Experience. Located in Seattle’s International District, the museum is the only pan-Asian museum in the US, and serves as both a look at the history of Asian immigration to the Pacific Northwest as well as a space to explore contemporary American identity politics. 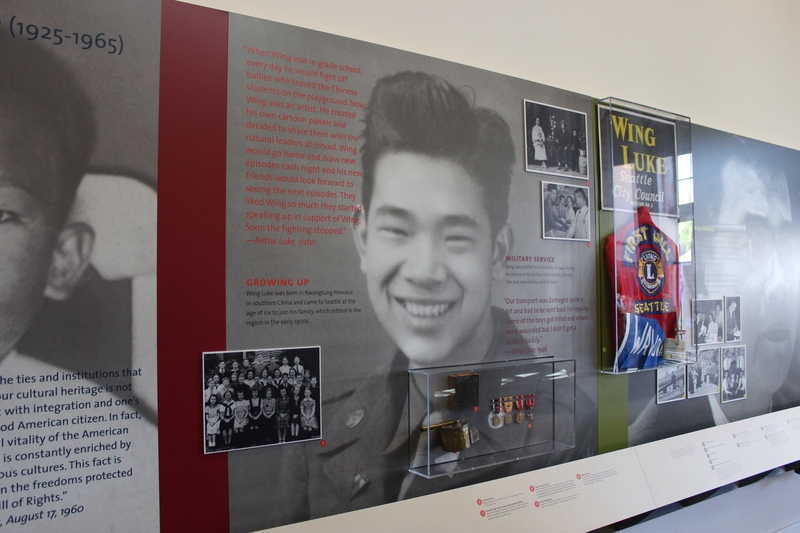 The permanent exhibitions include biographical information on Wing Luke, who was born in China and immigrated to the US when he was 10. A WWII veteran, he was the first Asian-American elected to public office in the Pacific Northwest. He served on the Seattle city council until his death in a plane crash in 1965. Normally I ask for the Japanese version of the maps and flyers at tourist sites, because 1. I can read Japanese and 2. the Japanese version is often more detailed. 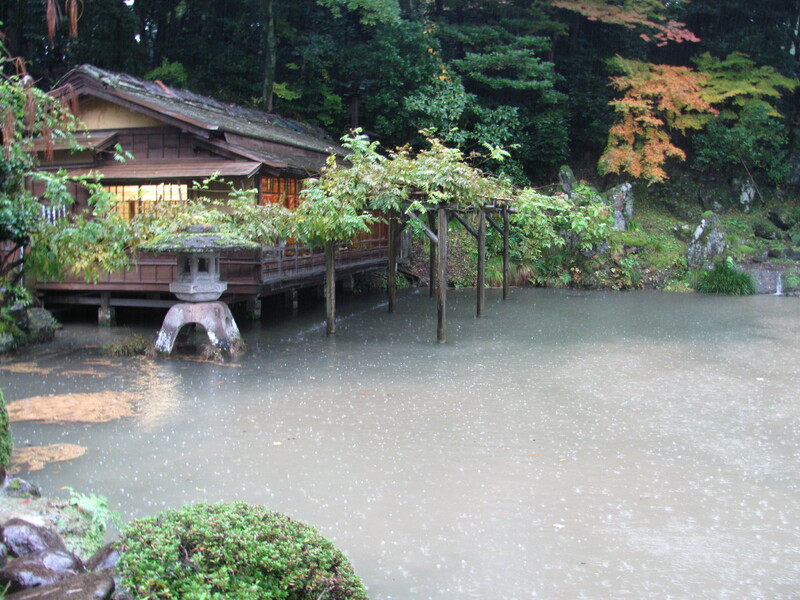 When we got to Tokeiji, I told the staff member “either language is fine” in Japanese, so I received an English version. I’m going to let you draw your own conclusion to that interaction; suffice it to say that the solution to the language problem is to let customers pick up their own brochures at the counter if desired. However, the Japanese version is unlikely to have had such an awesome statement as the one above, so I think I secretly won this round.